The Buffeljags Abalone Farm is situated on a pristine stretch of coastal ground near the remote settlement of Buffeljags on the Cape south coast. The farm is developing steadily and is expected to reach full capacity in 2018. 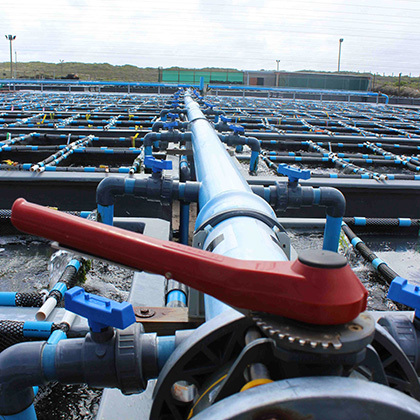 The Buffeljags Abalone Farm is modern, efficient and environmentally sustainable. 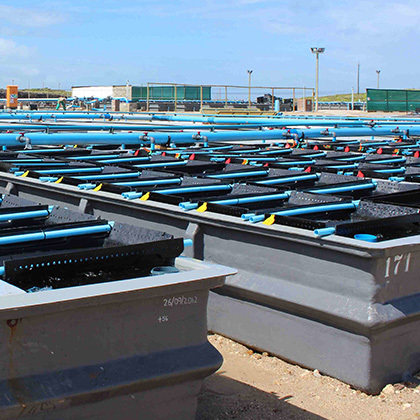 Abalone are grown in baskets suspended in sturdy glass fibre ponds. A plentiful supply of seawater is circulated through the ponds, ensuring a constant supply of cool, aerated water for the growing abalone. They are fed on a combination diet consisting of freshly harvested kelp, farm produced sea lettuce (ulva) and formulated food. Designed and constructed along very similar lines to the Buffeljags Abalone Farm is the Diamond Coast farm, situated in a former diamond mining concession near Kleinzee in the Northern Cape Province. 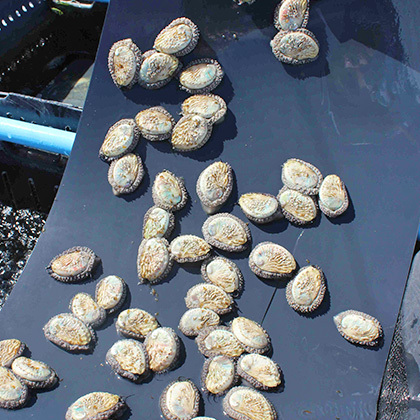 Diamond Coast Aquaculture is a 400 hectare facility that currently consists of a 120 ton per year abalone farm that feeds into Viking Aquaculture’s distribution channels. Plans are in place to increase abalone production and diversify into other aquaculture species.